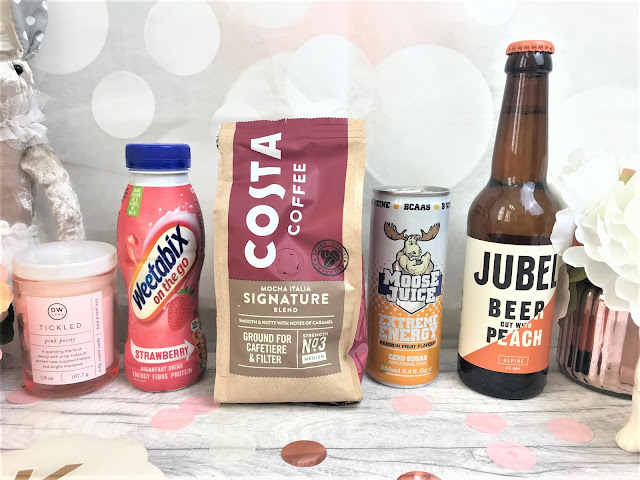 This month's box includes four varieties of drinks. Firstly you get the Weetabix On The Go in Strawberry flavour (£1.49), which is a great way to start your morning. This grab and go bottle contains iron, fibre and protein and tastes deliciously fruity. My favourite item in the box has to be the Costa Signature Blend Coffee Ground For Cafetiere & Filter (£3.70) as I just have to have my coffee in a morning and you cannot beat such a cult coffee brand as Costa. Another drink option included is the Moose Juice Passion Fruit flavour (£1.59) which contains zero sugar but is an energy drink that contains added BCAAs and B Vitamins and the Passion Fruit flavour is divine. Lastly, you receive the Jubel Alpine Beer Cut With Peach (£1.80), which is naturally infused with the zest of freshly ripe peaches as well as being gluten free and vegan. 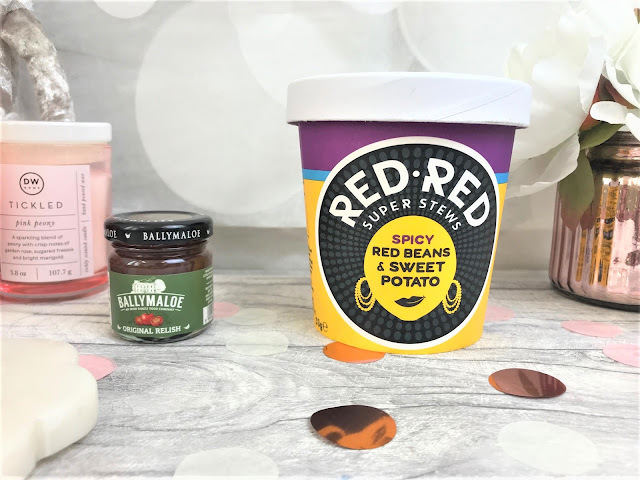 There are just a couple of general food items this month, starting with the Red Red Super Stews (£2.99) of which you will receive either Black Eyed Beans & Tomato or Red Beans & Sweet Potato. These delicious and handy stew pots are made with natural, plant-based ingredients such as okra, red beans, lentils and sweet potato. You then also receive an extra gift of a little jar of the Ballymaloe Original Relish. This is a super versatile product which can be used with burgers, fries, meats, cheeses, salads, sandwiches and much, much more! The Relish is made using all-natural ingredients and is gluten free and suitable for vegans. You then get a couple of different varieties of fruity snacks, including the Chum Fruit Bites (79p each), of which you receive both Apple and Strawberry. These sweet little fruity snacks are 100% fruit, vegan, high in fibre and gluten free. 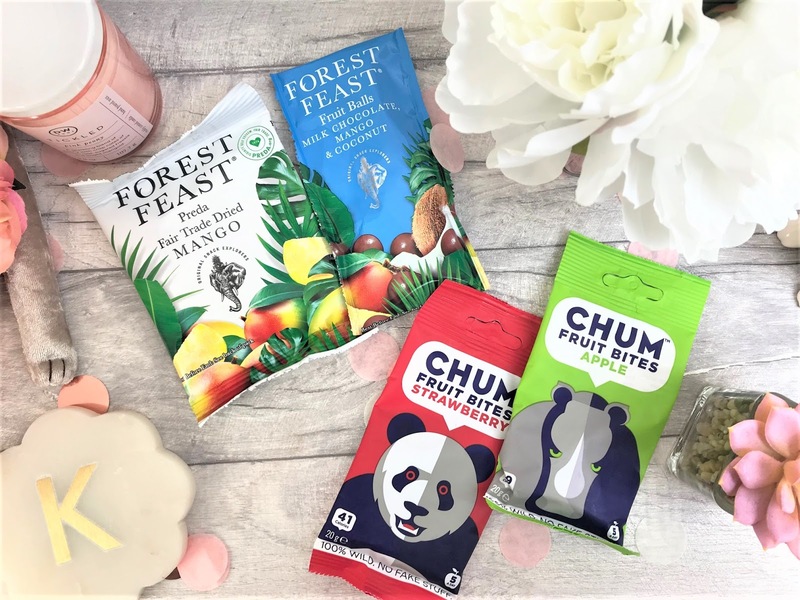 Chum also give 15% of their profits to help save endangered animals. You then receive the Forest Feast Preda Fair Trade Mango and the Forest Feast Milk Chocolate, Mango & Coconut Fruit Balls (£1.29 each). These are made with Fair Trade dried mango and allow you a sweet treat without all of the guilt. Onto the sweet treats, and by gosh there are a lot. First up is the KIND Snacks Dark Chocolate, Nuts & Sea Salt Bar (£1.35) which I am pretty sure we have seen before in a Degustabox as I really enjoyed it last time as they are so full of ingredients and flavour. 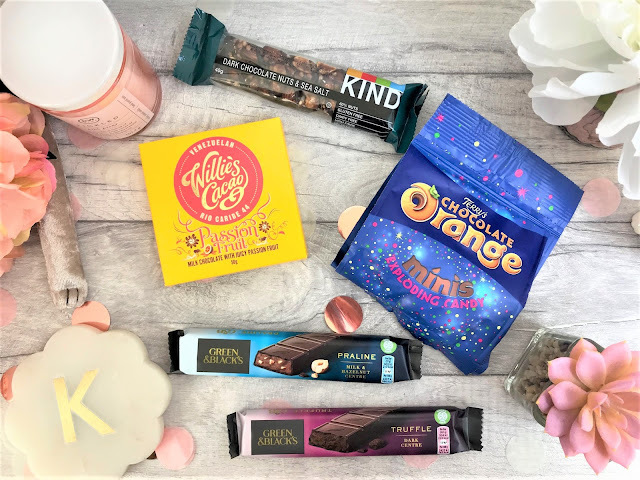 You then receive two Green & Black's Praline & Truffle Bars (89p each), which is another well-known cult brand, especially in the chocolate world. I also received a bag of Terry's Chocolate Orange Mini's with Exploding Candy, but I cannot see this on the fact sheet, so I am not sure if this is an extra gift. But they are delicious all the same! Finally, you receive one of four flavours of the Willie's Cacao Single Estate Chocolate (£1.99), which comes beautifully presented and would make a cute little Easter gift. I received the Passion Fruit variety so that is going to go down well with the Moose Juice! 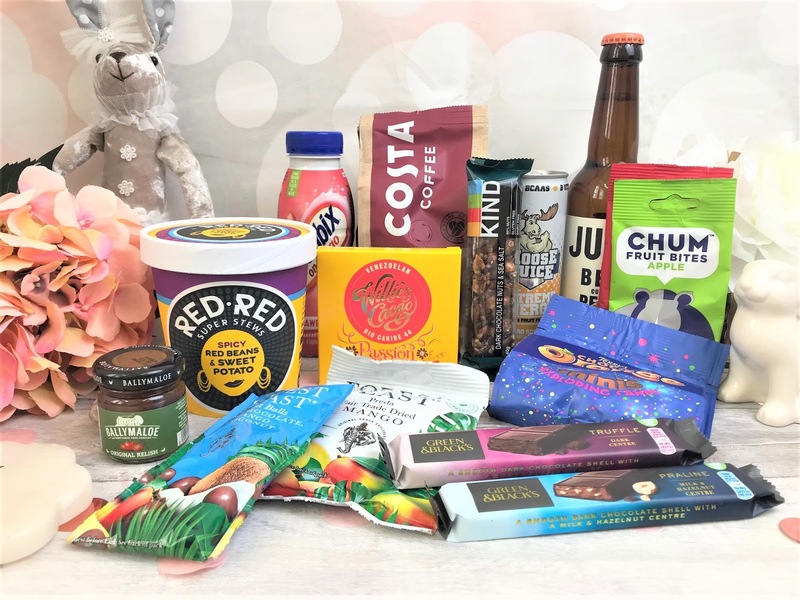 You can sign up to Degustabox or find out more online here. If you use code PW0S0 you will also get £5 off your first box.